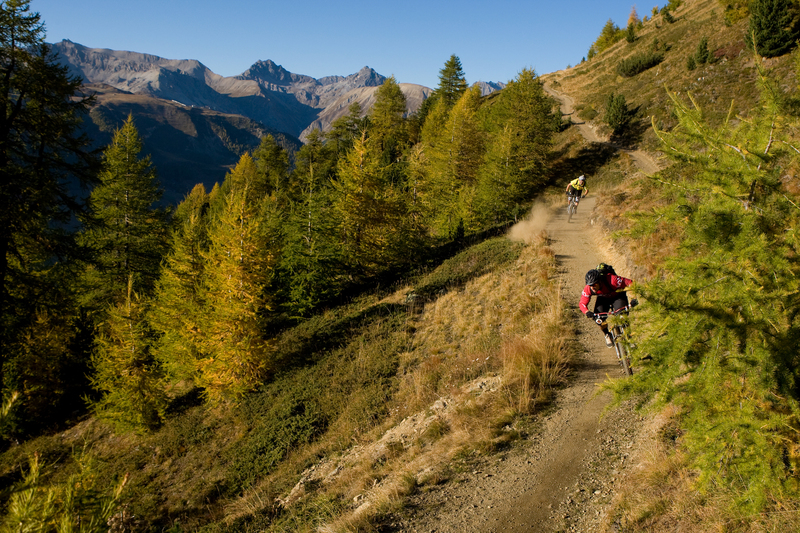 We offer 4 & 7 night guided mountain biking holidays on the dates above where you'll be expected guided from our base in Livigno. Our location means you'll have access to two mountain ranges all accessible via lift to provide you with more of the riding your love. ​We can sometimes provide other dates - just get in touch to enquire. Below is a guideline to our guided weeks. They are subject to minor changes depending on the weather! Day 1: Arrive at Milan or Zurich and enjoy transfer to your hotel. Welcome drink on arrival, met your guide, dinner. Day 3: Breakfast, full day riding with guide to the Cancano Valley. Luggage will be transferred to the alpine hut. Dinner & overnight in the alpine hut. Day 4: Breakfast & full day riding from the Cancano Vallet to the Val Viola Valley. Luggage will be transferred for you. Dinner & overnight in the Alpine Hut. Day 5: Full day riding from the Val Viola back to Livigno. Transfer via the Bernina Express from Poschiavo to Bernina Pass. Relax in the Mandira SPA, dinner & overnight in Livigno. If you're staying with us on a 4 night break, you will have breakfast and check out on your 5th day. Airport Transfers from Milan or Zurich can be arranged for a little extra. We do also offer accommodation only throughout the season (June to October) where you can come and ride Livigno and the bike park. You can always ask to join a guided group (which run throughout the season) when you arrive. We can usually accommodate! Happy to make your own way to the Alps? If so you can save €200 per person for a trip with no airport transfer. ​If you are coming in a group of 5 or more people we can offer a reduction in the airport transfer costing. To book we ask for a 30% deposit paid via debit or credit card with the rest due 7 days before travel or when you arrive if you prefer. We offer bike hire via a partner hire shop which you can pre-book online before your trip.